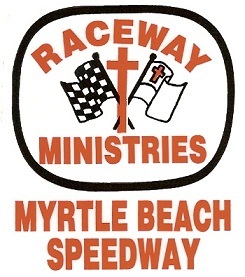 The First Baptist Church Raceway Ministry ministers at the local Myrtle Beach Speedway. The purpose of the Chaplain program is to have a spiritual presence among all those involved in the weekly racing series. The Chaplain delivers an invocation before each race. They accompany drivers to the hospital when they are involved in an accident and assist the injured drivers’ family. The Chaplains have performed wedding ceremonies at the track and participate in funeral services for those involved in racing. Most importantly, they are a witness to the unsaved. The total track ministry not only includes the race car drivers, but their crews, technical personnel, track employees and fans. The Raceway Ministry is sponsored by the Waccamaw Baptist Association. 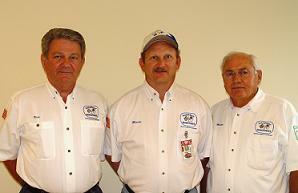 The local Raceway Ministry is also a member of the National Fellowship o Raceway Ministry. A Chaplain certification program is administered by this organization. The weekly racing series runs each Saturday night April through September. For more information on the Raceway Ministry contact the church office at 843-249-2448. Performing the jobs they do. And I know that I am a sinner. THAT WITH GOD YOU ARE ALWAYS THE WINNER. NOTE: The 2013 National Fellowship of Raceway Ministries annual convention was held at First Baptist Church.